Shine On Hollywood Magazine (SOHM) is delighted to feature artists in music, film, fashion and arts. We are also highlighting those in popular culture who are making a difference in our lives. Our magazine fulfills a niche other Hollywood magazines do not provide. Tabloid journalism and shocking revelations of infidelity or other personal indiscretions, will never be mentioned in this publication. The professional scope, experiences and advice of those featured in the periodical by hard work and discipline, offers the best reflection of a Hollywood that can shape opinion to lift the human condition. SOHM is the only publication that has the ability to change the pejorative aspects of an industry that requires introspection. No other magazine can give you a profound presentation with 8 to 15 pages of photos, positive intro’s, video(s), Q&A’s and social media friendly recognition that also includes IMDb and other platform credits. These elements offer a well rounded history of your accomplishments and your story can be told to the world without impediments. No other magazine nor publication will go the extra mile to share your story. We do not cut and paste stories online nor use biographies to build your narrative. We remove the negative and focus on the positive side of your life from childhood to your current station in life. Here’s some buzz worthy news why SOHM became one of the fastest growing magazines to ever come out of Hollywood. Our mission is to inspire artists in entertainment and in life. With the help of all the amazing artists we feature, our magazine does just that. Have SOHM tell your story by empowering and inspiring our readers and discovered by thousands of industry professionals in the entertainment industries and popular cultures. 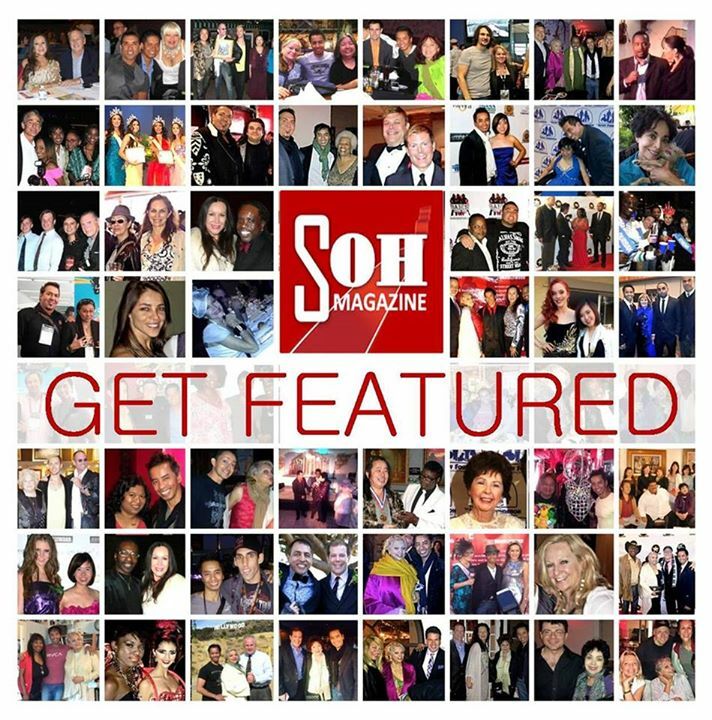 SOHM fulfills a niche that other Hollywood magazines do not provide. Tabloid journalism and shocking revelations of infidelity or other personal indiscretions, will never be mentioned in this publication. The professional scope, the experiences and advice of those featured in the periodical, by hard work and discipline, offers the best reflection of a Hollywood that can shape opinion to lift the human condition. SOHM is the only publication that has the capacity to change the pejorative aspects of an industry that requires introspection. 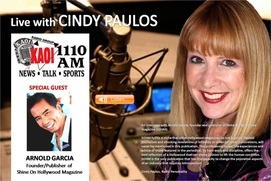 It was a pleasure to work with you on the May issue of Shine on Hollywood Magazine. Your staff operated in a very professional, creative and effective manner working and thinking together to create a fantastic publication. Cao Yong Editions, Inc. has printed copies of this magazine and has showcased it on the wall at the Cao Yong Museum in Beijing, China (see attached pictures). Everyday, Cao Yong’s collector’s, government officials and dignitaries both in person and on the website, look at your publication bringing new interest and readers to Shine on Hollywood Magazine from across the globe. Cao Yong Editions, Inc. found our time with SOHM to be a very memorable and pleasant experience. Just like the sun, the staff of SOHM rises to the occasion every day providing articles and visual experiences that truly inspire its readers. By showcasing professionals and experienced leaders from all genre’s the way that you do, you are providing the youth of today with a motivational blueprint. You are inspiring the future leaders of this world to shine on brighter and brighter every day. Here’s to your continued success and bright future! Whether you’ve just moved to Hollywood to pursue your dreams of stardom or even if you’ve been here for 20 years, Shine on Hollywood Magazine is a wonderful source of information for the ingenue or seasoned talent. This magazine offers an in-depth, realistic look at the Industry as a business; this is essential to every actor, writer and director. It fortifies the dream and illustrates the need for business savvy that will help you achieve your goals in Hollywood. I was turned on to SOHM by friend and colleague, Mara New. Thanks Mara! I’m a fan for life. I enjoy reading the interviews and I love how SOHM brings the community together by introducing some very well recognized experts within the entertainment industry. Thanks so much for the article on TCD Studios. We wish you continued success and we hope to grow with you. I am glad to be able to call people’s attention to the article written about me for the June issue. Bravo! My Best Thoughts for your continuing SUCCESS! I am a huge fan of SOHM and its mandate to share the more personal, inspirational and hope-building stories of those in the entertainment industry. I have thoroughly enjoyed the issues I’ve read and am excited to see what SOHM has in store for its second year of e-publication. I have brought issues into my classroom to share with my students as well as distributed and shared various articles with industry professionals here in Vancouver, Canada. The response has always been positive and a keen interest shown in subscribing so they may be able to read SOHM for themselves. The writers, editors and management at SOHM are the perfect balance of professional and attentive personal. I especially appreciate their penchant for taking our words and giving them a polish without losing the essence of the artist. I wish SOHM every success and look forward to following the journey of this wonderful e-zine. From new trends to new insight behind and in front of the scenes in the entertainment community, Shine On Hollywood Magazine sheds new light on all facets of this business,amongst a sea of publications that usually only focus on the top ten of what is hot. I have been fortunate enough to do many interviews in my life both “live” and written, but I have never been as honest and forthcoming as I was when Arnold Garcia interviewed me for SOHM. His questions illicit honest, thoughtful answers and since SOHM is always about solutions rather than gossip, I was inspired to share things I had never shared with anyone, much less ‘faceless readers’. SOHM challenges everyone involved with them to be the best they can be. To be kind and supportive rather than mean and competitive. Their approach is so fresh and new. I hope someone besides me benefited from my interview. Arnold’s insightful questions most definitely took me on a path of self discovery where ego and fear have no place. Only hope and support. I am ever so grateful to have been a part of the 1st anniversary issue of SHINE ON HOLLYWOOD. I had the pleasure of working with Alex and the SOHM Team and am thrilled that the magazine reflects the upbeat and considerate attitude of its staff. The article written about me by SOHM has been very influential in helping our fundraising efforts for special needs children and has brought more attention to the biographical movie that we are working on through Jeff Co. Productions. I look forward to working with SOHM in the future and enjoy watching your publication continue to grow. Shine on! Shine On Hollywood Magazine is an exceptional publication that honors the creative spirit and inspires artists from many disciplines and diverse backgrounds. The features and stories presented are exciting and relevant to our creative community and offer sound advice about the journey to success in a challenging industry. Founder/Publisher Arnold Garcia and his team are top notch and really have their finger on the pulse. Happy Anniversary SOHM and SHINE ON for many years to come! I cannot thank Arnold Garcia and the staff of SOHM enough for the wonderful interview they did on my life, my artwork, and my passion for soccer that was featured in the May 2013 issue. Not only was working with all of you a pleasure, but it brought me a whole new audience for not only my artwork, but for my second love, Soccer. Since I was featured in the magazine, I have not only received calls for paintings from individuals and galleries, but also from people in the community requesting private tutoring in both art and soccer. Each issue features talented people who have made a difference in the industry as well as in their own communities. The stories are inspiring leaving the reader feeing uplifted after reading each issue. The “Show Your Shine” features people like myself who have amazing stories that would remain silent, never reaching the public without your insight and great reporting. 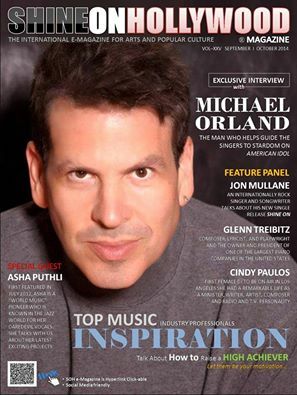 I feel honored to be featured in the May 2013 issue with so many other talented artists. Working with the staff and being a part of SOHM has reminded me of how grateful I am to be where I am today. Thank You again for inviting me to be a part of a publication that actually makes a difference!